For more than a century, Beate and Serge Klarsfeld have hunted, confronted, and exposed Nazi war criminals, tracking them down in places as far-flung as South America and the Middle East. It is they who uncovered the notorious torturer Klaus Barbie, known as “the Butcher of Lyon,” in Bolivia. It is they who outed Kurt Lischka as chief of the Gestapo in Paris, the man responsible for the largest deportation of French Jews. And it is they who, with the help of their son, Arno, brought the Vichy police chief Maurice Papon to justice. They were born on opposite sides of the Second World War. Beate’s father was in the Wehrmacht, while Serge’s father was deported to Auschwitz because he was a Jew. But when Serge and Beate met on the Paris metro, they instantly fell in love. They soon married and have since dedicated their lives to “hunting the truth”—both as world-famous Nazi hunters and as meticulous documenters of the fate of the innocent French Jewish children who were killed in the death camps. They have been jailed and targeted by letter bombs, and their car was even blown up. Yet nothing has daunted the Klarsfelds in their pursuit of justice. Beate made worldwide headlines at age twenty-nine by slapping the high-profile ex–Nazi propagandist Chancellor Kurt Georg Kiesinger and shouting “Nazi!” Serge intentionally provoked a neo-Nazi in a German beer hall by wearing an armband with a yellow star on it, so that the press would report on the assault. When Pope John Paul II met with Austria’s then-president, Kurt Waldheim, a former Wehrmacht officer in the Balkans suspected of war crimes, the Klarsfelds’ son, dressed as a Nazi officer, stood outside the Vatican. The Klarsfelds also dedicated themselves to defeating Jean-Marie Le Pen’s National Front and his daughter Marine Le Pen’s 2017 campaign for president in France. Brave, urgent, and buoyed by a remarkable love story, Hunting the Truth is not only the dramatic memoir of bringing Nazis to justice, it is also the inspiring story of an unrelenting battle against prejudice and hate. 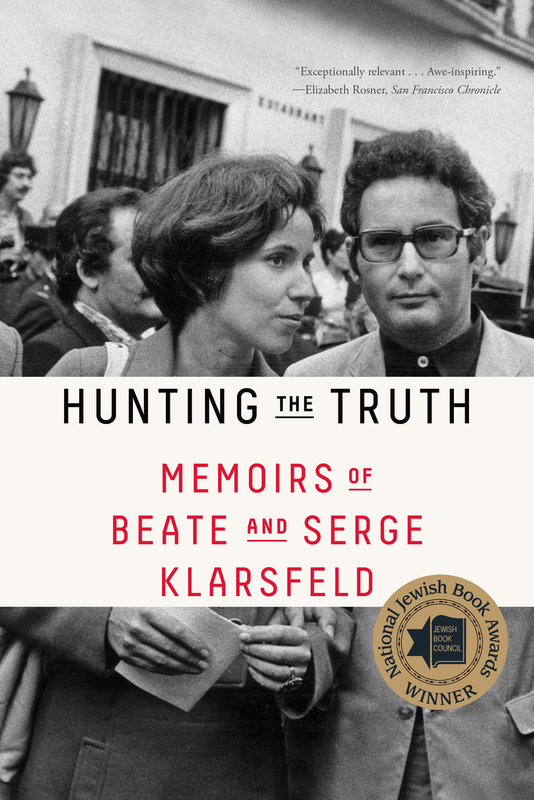 Beate and Serge Klarsfeld are renowned French activists whose work apprehending Nazi war criminals, seeking justice for victims and survivors of war crimes, and establishing the historical record of the Holocaust has brought them international recognition. Recipients of France’s Legion of Honor and Germany’s Federal Order of Merit, they were named UNESCO Ambassadors of Genocide Prevention by the United Nations in 2015 and were granted honorary Israeli citizenship by the Israeli government in recognition of their support of the Jewish cause. Beate is the recipient of the Jabotinski Prize, and both Beate and Serge have received the HIAS Liberty Award and the Raoul Wallenberg Prize. Sam Taylor has written for The Guardian, Financial Times, Vogue, and Esquire, and has translated such works as the award-winning HHhH by Laurent Binet; The Heart by Maylis de Kerangal, which won the French-American Foundation Translation Prize and was a finalist for the Albertine Prize; and the internationally bestselling The Truth About the Harry Quebert Affair by Joël Dicker.